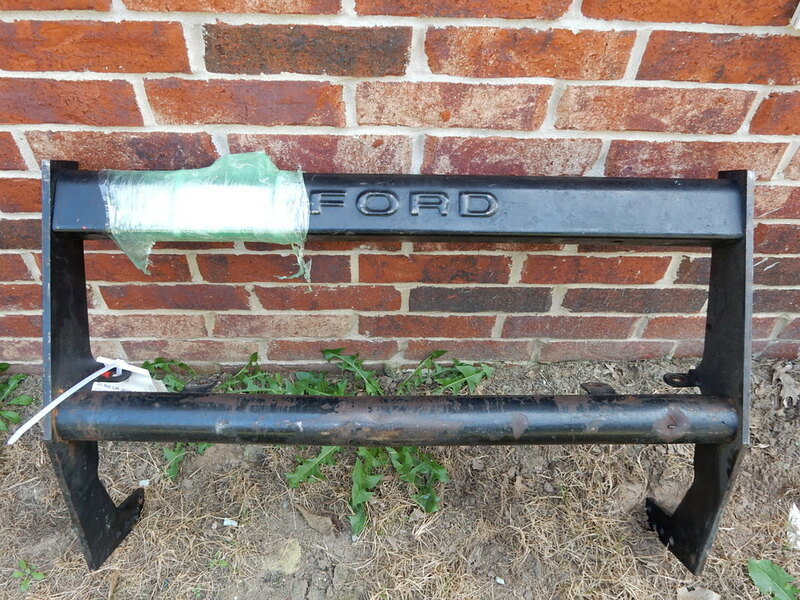 Ford called these things Guard And Pad Assy. (Front Bumper). 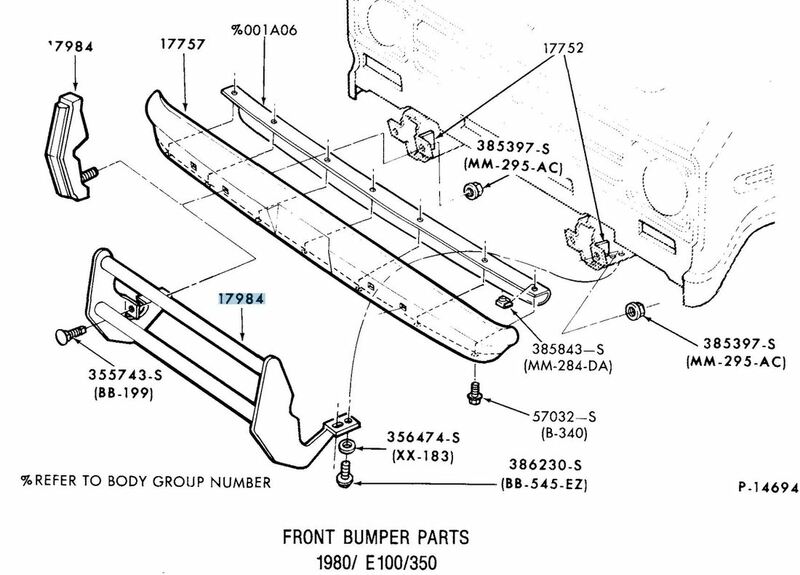 But, buried in the master parts catalog and on Page 6 in the 1981 Accessories Catalog is also the term "push bar", which is what they are typically called by "us guys". Or, maybe "bull bars". Anyway, here's what little is shown in the catalog about them. The illustrations are actually for the E-series van, with none for the F-series pickup or Bronco. In fact, that 1981 Accessories Catalog doesn't show them as an option for the F-series pickups. But, as you can see, the catalog has an entry for them for the F-series trucks as well as the vans.